Pending home sales, or the period after a contract has been signed but before the sale has closed, dropped in October after a modest rise the previous month, according to data released Thursday by the National Association of Realtors. 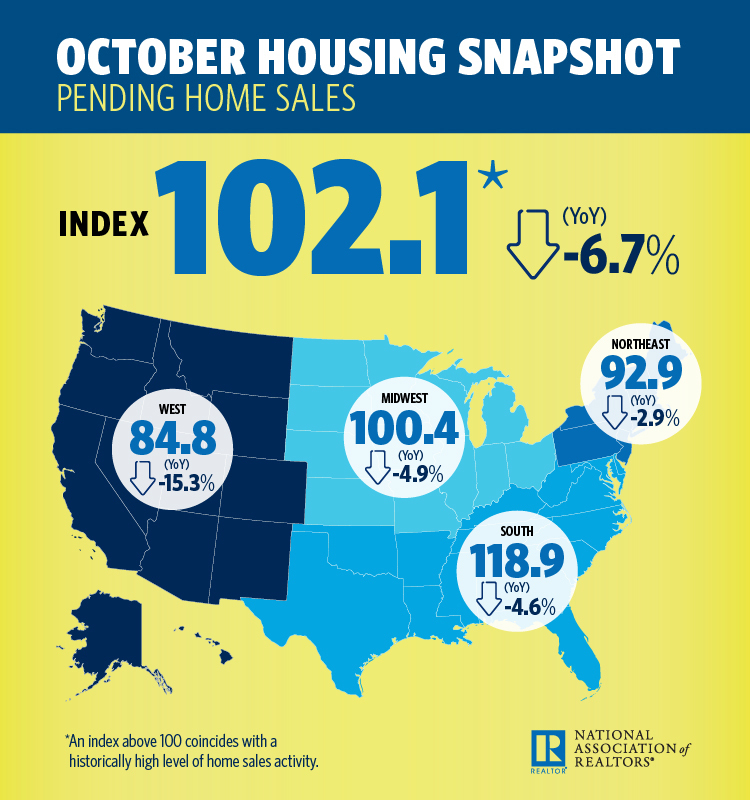 Overall, the Pending Home Sales Index fell 2.6 percent to 102.1 in October after rising by a modest 0.5 percent to 104.6 in September. Prior to that, pending home sales have fallen for eight months straight. Year-over-year, the downward trend has been unbroken — contract signings dropped 6.7 percent when compared to October 2017. NAR’s Chief Economist Lawrence Yun said high mortgage rates – they rose to a seven-year high at 4.72 percent in September — could be to blame from the drop in sales. Regionally, only the Northeast saw a modest 0.7 percent rise in pending home sales. In the Midwest, they fell by 1.8 percent while also dropping by 1.1 percent in the South and by 8.9 percent in the West. But despite such an outlook, Yun said pending home sales will almost certainly start to rise on the long term – even if they fluctuate in the coming months.